Stay visible by using both headlights and taillight and wearing clothes motorists can see. Visibility is the key along with staying dry. It is a lot harder for both motorists and pedestrians to see you when it’s raining out. You can wear a reflective and fluorescent vest to stand out and attach reflectors to both your bicycle and helmet (which you should always wear!). Flashing lights on the front of your bicycle and on your saddle are also very eye-catching in the rain. Drive your bike cautiously, when wet these wooden trail surfaces are very slippery. Driving your bike on brick, metal and wood surfaces when wet all become very slippery. Try to avoid traveling over these surfaces when raining. If you must ride on these smooth exteriors, do so without turning your handlebars to prevent skidding and slow down. In inclement weather, when cycling, wear a light wicking layer under your rain gear and have a dry layer tucked away if you become wet. 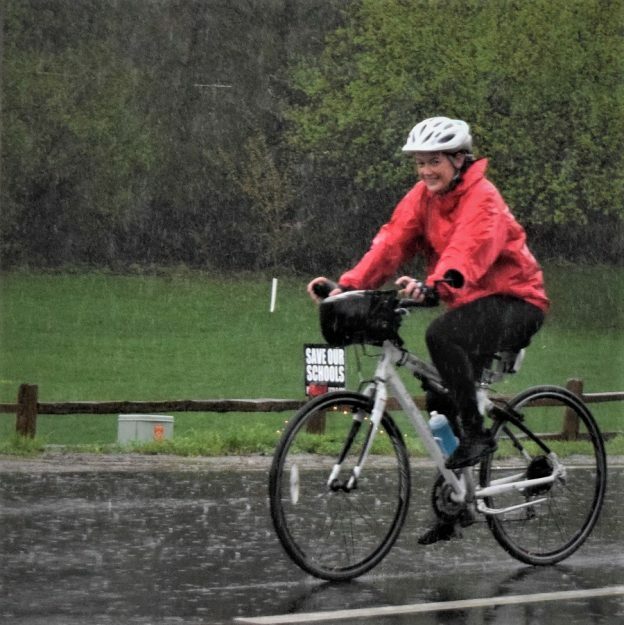 It is tempting to bundle up with multiple layers when you’re cycling in the rain with the hopes of preventing the water from soaking all the way through your clothing to you. Unfortunately, what will probably happen, all your layers will become wet from sweat and you’ll be stuck wearing multiple layers of soggy clothing. When it’s raining out dress according to the temperature outside, not the volume of rain. If you don’t have any waterproof clothing, a very thin poncho or large trash bag, with holes for arms and head to slip through can do wonders. Bikes with low tire pressure offer more stability on slippery roads. Adding studs to the tires of the bike adds more control. Slow down—it’ll take you twice as long to stop in the snow than in clear conditions. When approaching stop signs or intersections, give yourself plenty of room to stop and avoid skidding. 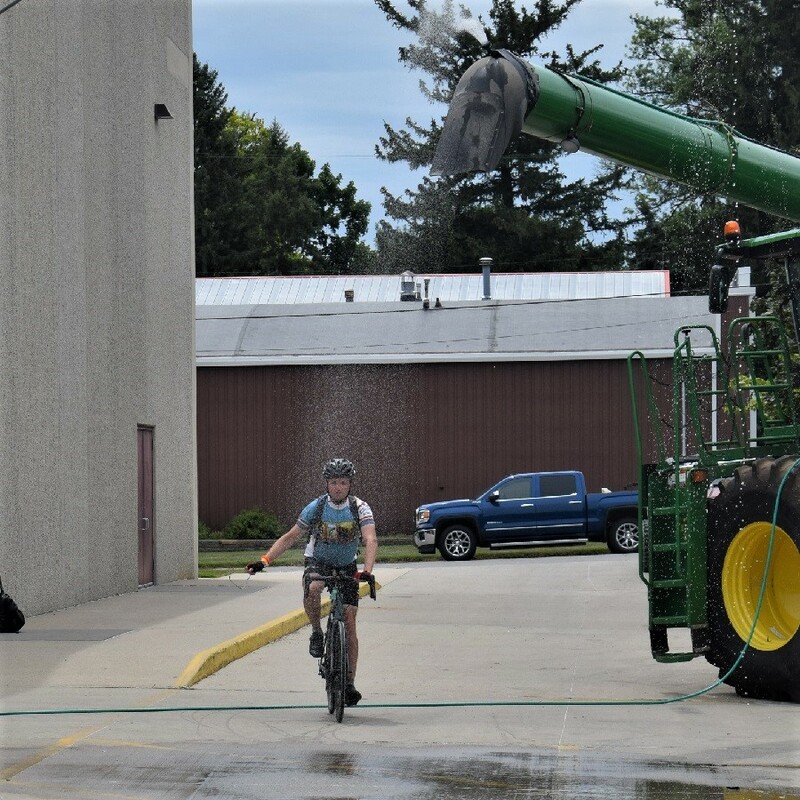 Use fenders—when you put fenders on your bicycle, you not only stop snow from splashing up all over yourself and your bicycle, but you also keep your cycling neighbors day as well. A win-win! Use an old mountain bike—fat tire bicycles are great, but they often cost more than $3,000. 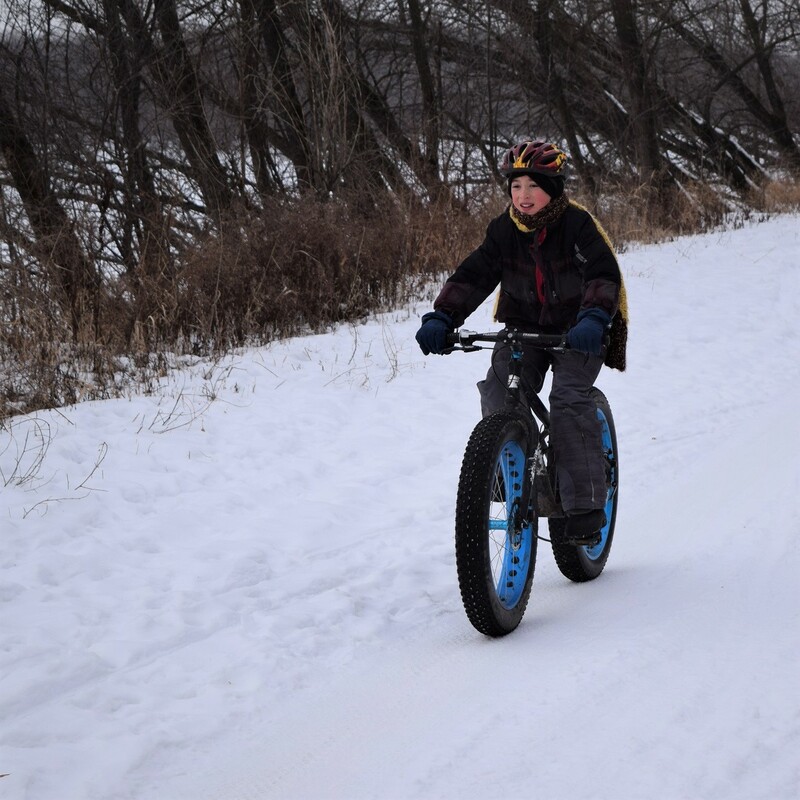 If you have an old mountain bike gathering dust in your garage, it’s often a great and cost-effective option if you want to get outside in the snow. You can also buy winter bike tires, with studs, if you’re so inclined. In hot weather stay hydrated by taking a few sips of water every couple miles. 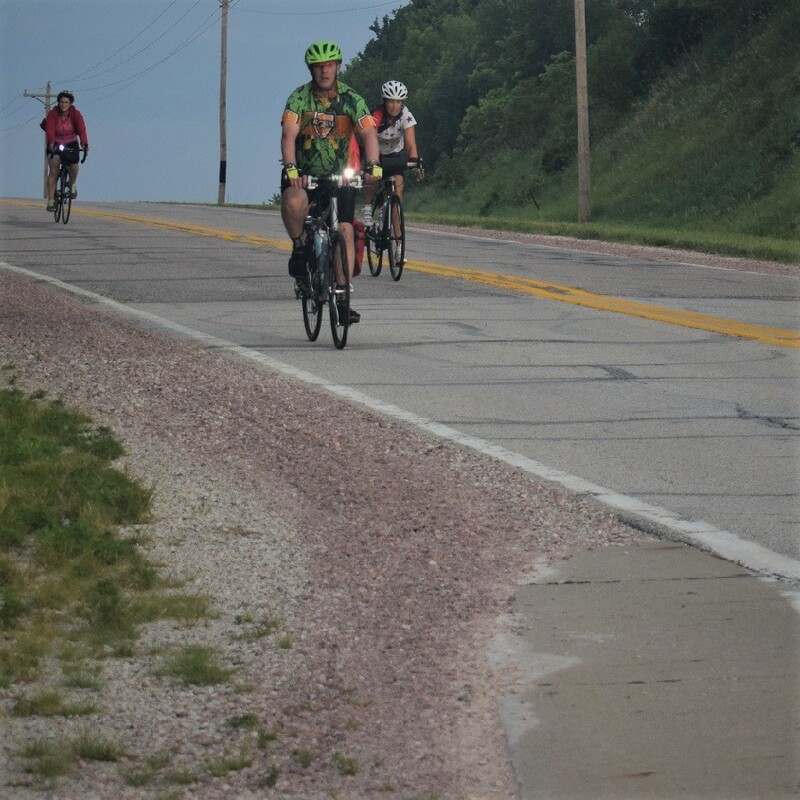 Get acclimated—if you are used to going 15-mile and the temperature suddenly jumps up into the 90s, with high humidity, it’s not safe to expect to take the same route in the same timeframe. It can take weeks to get used to cycling at high temperatures, so try taking in easy for a while so you can get used to the heat. When the air temperature and humidity surge, take a break and find a place to cool off like this biker dude. 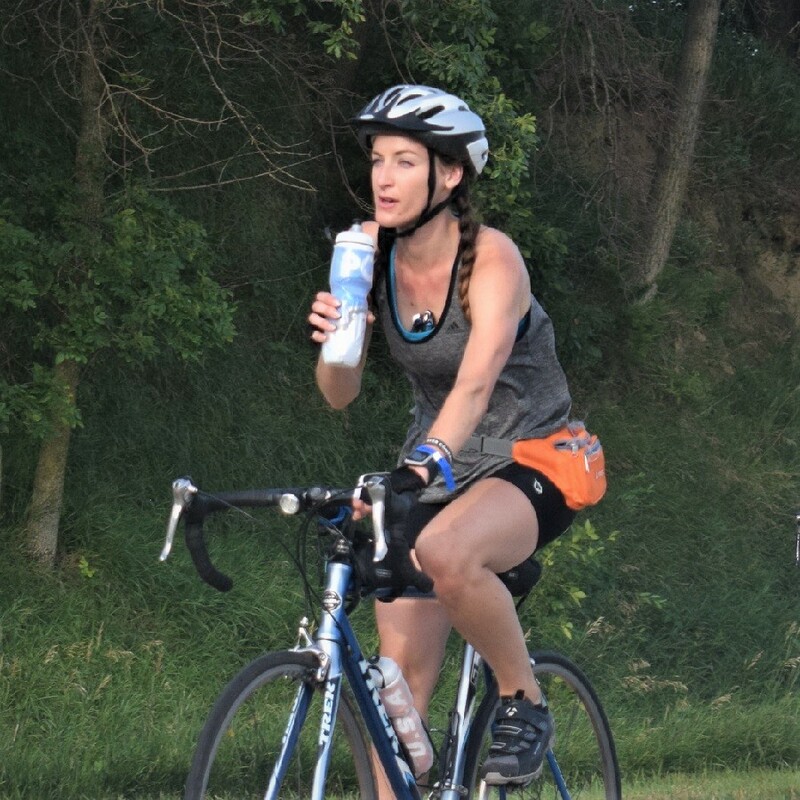 Stay hydrated—a 150-pound cyclist will need to drink at least one 16-ounce bottle of water per hour. Plus a glass of water about 45 minutes before leaving. If you’re heavier or if you’re going on a particularly hilly or challenging route, you could need up to four bottles per hour. 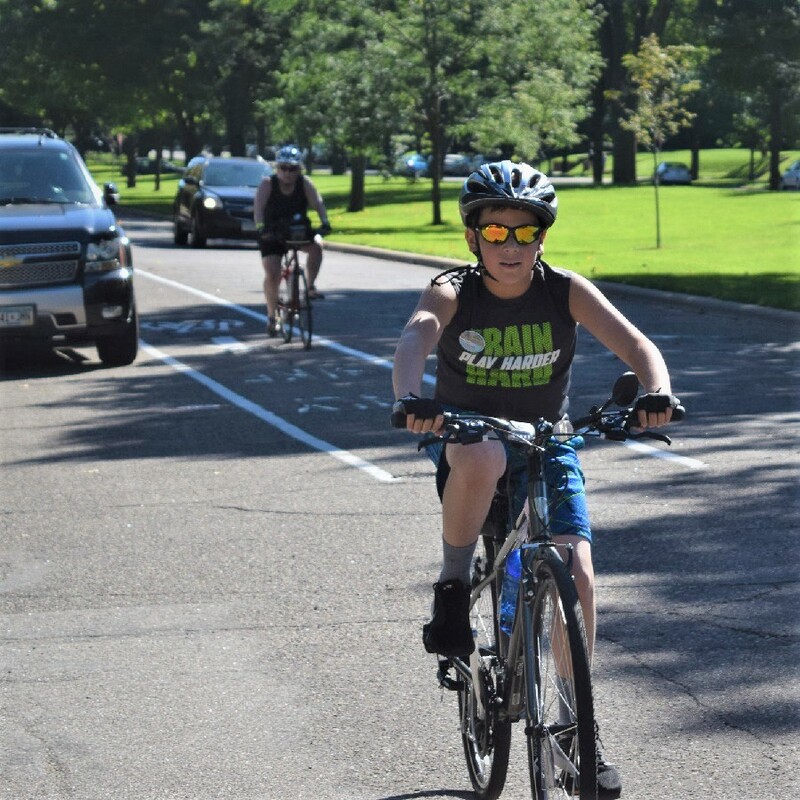 Cycling is one of the healthiest forms of exercise and when you plan properly it can be a great activity year round! Stay loose—you’ll want to wear clothing that’s loose and keeps you cool when you’re sweating. Avoid dark colors, but more importantly, avoid something that’s heavy and form-fitting. This article was created by Personal Injury Help (www.personalinjury-law.com), an organization dedicated to providing the public with information about personal injury and safety information. Nothing in this article should be construed as legal advice, and it is intended for informational use only. 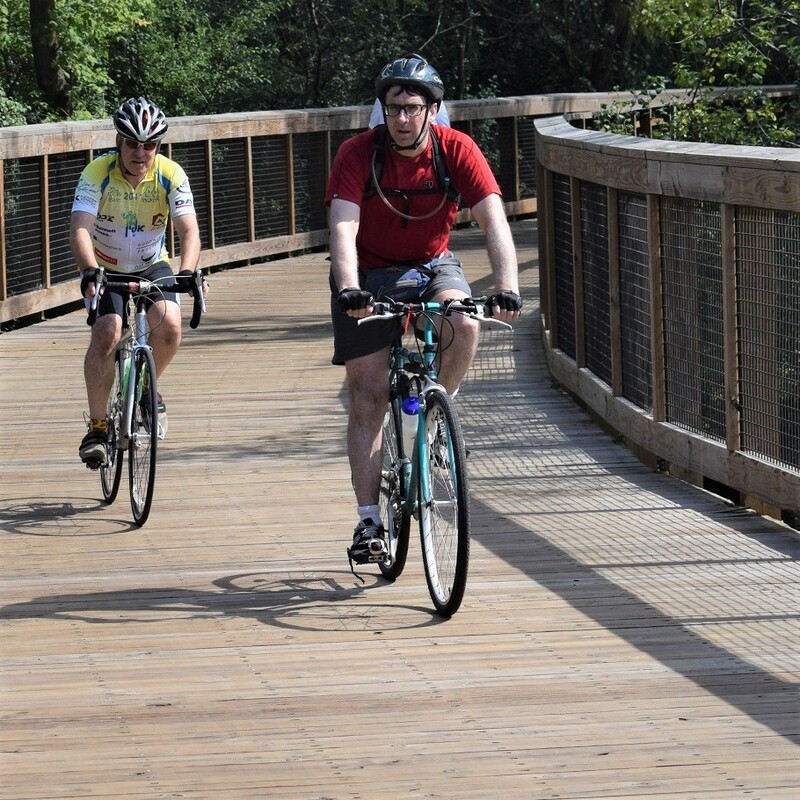 Be sure to review your local cycling ordinances to ensure you ride safely and legally! 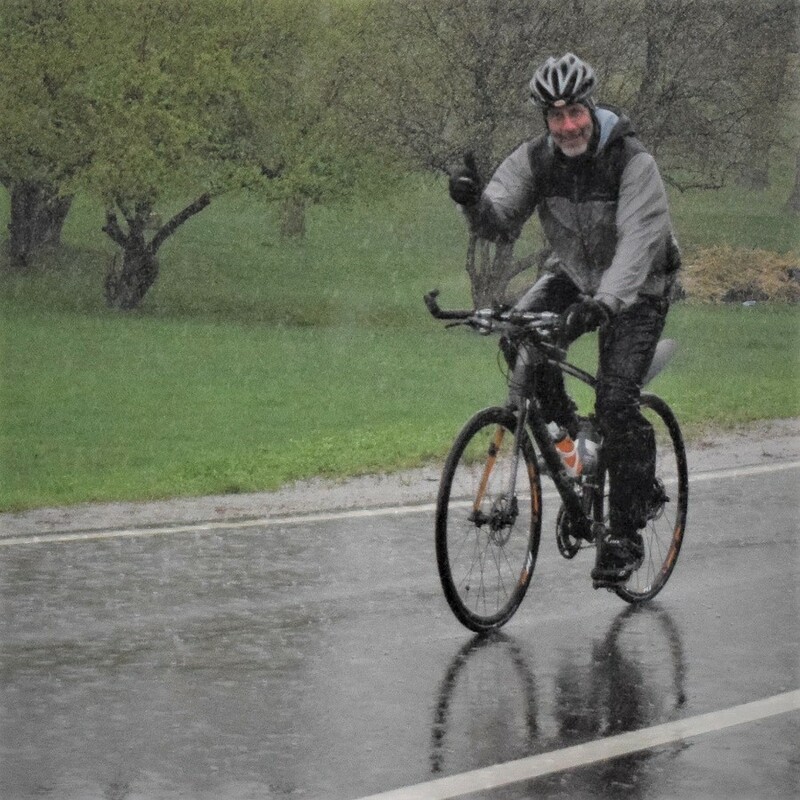 This entry was posted in News, riding tips and tagged bike tip for riding in cold weather, bike tip for riding in hot weather, bike tip for riding in wet weather, Dress for the temperature, drive your bike, non-porous surfaces, Personal Injury Help, Rain Gear on September 3, 2018 by Russ Lowthian.